Every community deserves to have a multigenerational play and fitness space where children and their families can play and have fun getting physically fit. Developing good physical fitness practices and taking time to play are important at every stage of life. As an exclusive distributor of GameTime playground equipment, Cunningham Recreation can help you design and build destination playgrounds and unique play and fitness spaces for outdoor use that can be enjoyed by people of all ages and abilities! Working with GameTime's custom team, PlayWorx, we can make your dream play space a reality. So let your imagination soar! We specialize in large custom destination parks and playgrounds. Whether you're needing an inclusive playground for a local park, a themed playground for a community center or fitness equipment in your community, Cunningham Recreation can help design the perfect space that meets your needs and budget. All Communities. All Generations. All Abilities. Together, Cunningham Recreation and GameTime design inclusive play environments that go beyond accessibility. Backed by independent research and based on guidelines developed by leaders in the field of inclusive design, our play and recreation spaces address the needs of the whole child, and of every child. They also encourage children, adults and families of all abilities to experience the benefits of play...together. Since 1929, GameTime has sought to enrich childhood through play and to create play spaces that eliminate barriers to the play experience. Our goal is to help communities design environments that allow all people to participate in play, regardless of age or ability, and to prove that play has no limit. If you can dream it, we can build it! Whether you're looking for a giant tree, animal or water themes or something else unique to your community, our team will design a believable environment that will undoubtedly attract hours of play. The Cunningham Recreation team can design play environments that tell a story and pay tribute to a community's heritage and culture. 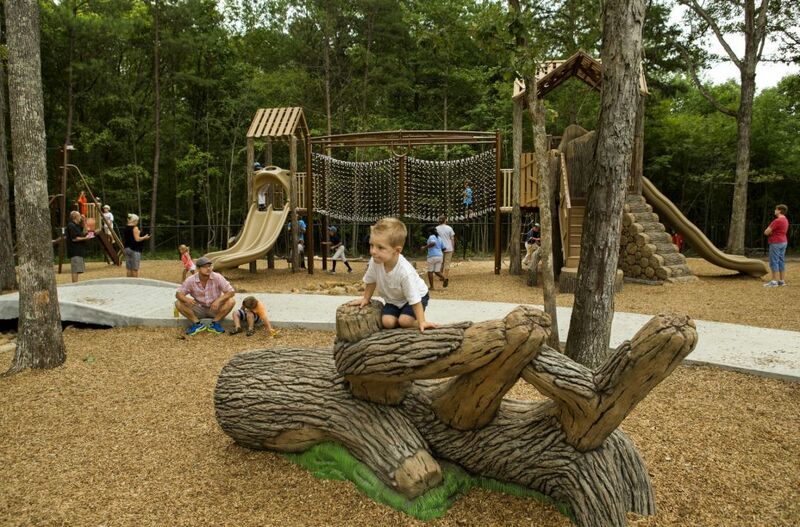 We build signature, destination play spaces that differentiate your play space from others. Many of our themed playground structures are manufactured using GFRC art and themed panels, which create an interactive play experience for children. Cunningham Recreation offers GT Fit, Challenge Course and Thrive fitness equipment to keep your community active -- and having fun! Each of these fitness systems offers a variety of age-appropriate equipment, allowing people of all fitness levels to get a full body workout. Ergonomic designs, multi-user equipment and customizable workout routines help communities be more active while spending time outdoors. Because all of Gametime's fitness equipment is backed by research, communities can feel confident that their fitness space will be innovative, fun and effective. Contact us to learn more about our park playground equipment! Use the form below to request more information on our park playground equipment.